Is brand trust in a crisis? Brand trust is earned through consistently delivering on the brand’s promise. Brand trust is the only way you can build loyal brand advocates. But the global trend is working in the opposite direction. Young & Rubicam BrandAsset Valuator reveals that consumers trust in renowned brands continues to slide. In 1997, consumers indicated that they had a high level of confidence in 52% of brands. By 2008 that percentage dropped to 22%. The Edelman Trust Barometer confirms the same trend with their annual survey. In 2015, for the first time since the end of the Great Recession of 2007-08, their survey signaled a major decline in trust with 16 of 27 countries dropping below their acceptable 50% level into the “distruster” category. For example, Canada went from a 62% trust level in 2014 to 47% in 2015. A drop of 15%! What’s going on? In the climate of austerity are we starting to see brands cutting corners or blatantly deceiving consumers to protect their bottom line. Since 2007-08 the world economy hasn’t been the same and the recent financial instability in China will continue to put pressure on brands to perform. Professor Klaus Schwab, founder and chairman of the World Economic Forum, explains that “There are four prerequisites of a company’s survival; profitability, growth, risk protection and earning public trust.” While we may expect people to sometimes lie, like athletes, actors and most certainly politicians, we don’t expect brands to lie. Why would global companies risk their brand equity by outright lying to their customers? Volkswagen, the world’s largest carmaker (past tense) did exactly that when they lied about their emissions tests through cheating software. Why would a mega brand risk its reputation? Profits seems to be the ultimate goal. Jointly German car manufactures, actively promoted to Americans that diesel was the future to meet tougher US emission standards. The only way VW was able to compete and live up to the promise was to lie. The arrogance that they thought they wouldn’t get caught is scary, especially since they publicly promised to be the ‘greenest’ car producer in the world by 2018. 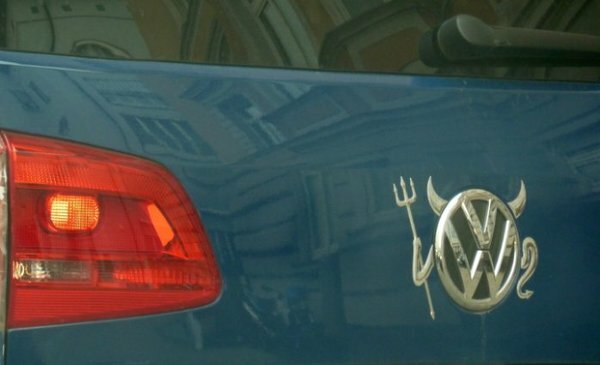 The lie allowed VW to claim their diesel engine was superior – selling over 12.6 million of them. The fact that buyers used to pay a $2,700 premium over gasoline engines for VW diesels meant an additional $34 billion in VW’s bank account. But the real problem was the fact that their engines emitted nitrogen oxide pollutants up to 40 times above US standards. Environmental damage that can’t be fixed. The Edelman Trust Barometer says that the major factor in depressing trust is the rapid implementation of new technology that’s changing everyday life. Of people surveyed 54% were very cynical about new technology, stating “business growth or greed/money are the real impetuses behind innovation.” The problem with most innovations introduced to the market is little work is done to explain to the consumers why this innovation is a good thing in the first place. Genetically Modified Organisms (GMO) are a good example. GM seeds were introduced to farmers to help them increase yields but for the average consumer what did this mean? What was good about inserting a gene from one plant to another and how would consumers benefit from this. Then add, activists and their tactics to label these ‘Frankenfood’ and consumers start getting concerned. Moral: Take advantage of this belief and build a caring brand.